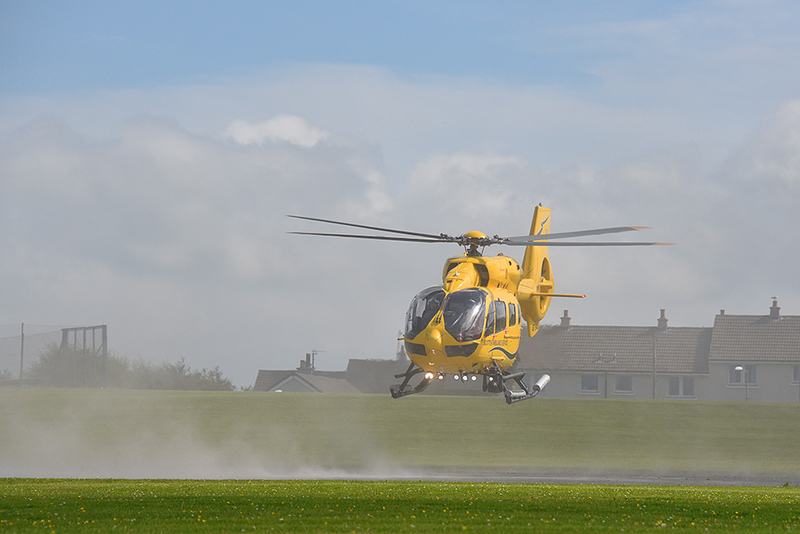 Taking off after a promotional visit to Islay in July the new Scottish Ambulance Service helicopter is blowing up some dust as it lifts off in Bowmore. This entry was posted in New Post, Sunny Weather, Village and tagged Bowmore, Islay by Armin Grewe. Bookmark the permalink.